$50 provides funding for materials to create handmade products to sustain a family. 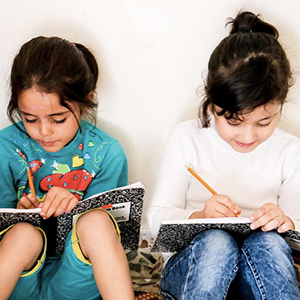 $25 provides school supplies for children, including notebooks, pencils, backpacks, and more. $30 provides funding for an impoverished child's tuition, school supplies, and clothing in Uganda. This gift gives an impoverished family in Uganda an ongoing source of nutrition and supplemental income. $100 provides funding to invest in the microbusiness of a newly released student who has gone through a prison entrepreneurship in South Africa. $50 provides funding for a child's tuition for one month. Provide medical care to refugees, including the treatment of injuries sustained from the war in Syria. $30 purchases business books for students enrolled in a prison entrepreneurship program in South Africa. $100 will help towards the $10,000 we are raising to build a school. $35 provides funding for Shan women to develop their own small business through micro-financing programs. $50 provides clothing to help a newly released student who has gone through a prison entrepreneurship program in South Africa find a job. Your generous gift will go towards all Hope Collective projects. Each sponsored gift comes with a free olive wood Hope Heart. Copyright © 2015 THE HOPE COLLECTIVE, Inc., a 501(c)(3) non-profit organization. All rights reserved.